Used in good condition. See pics for condition example. May not get exact item pictured. This Unit has been tested extensively. See our feedback if you have doubts. Comes with a charger. Friendly seller. You will get what is shown on the pictures. Apple iPod Touch A1288 2nd Generation MC086LL 8GB MP3 Bluetooth WIFI Photos. Condition is Used.Fully functional and comes with a charger. Shipped with USPS First Class Package. Apple iPod Touch 2nd Generation (8GB). 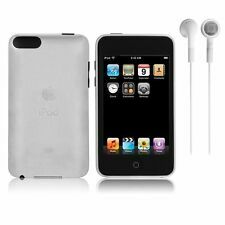 For sale is a Apple 8GB iPod touch (2nd Generation) MC086LL/A/. Condition is Very fair and in Good operable condition, every feature tested and working. Device has no codes and free from any locks or iCloud lock. Black Apple iPod Touch 2nd Gen 8GB A1288. MP3 Players. Apple iPhones. Broken Apple iPhones. Device is in 100% WORKING condition. It has been extensively tested and found to be fully functional. 2nd Gen iPod touch devices only support up to iOS 4.2.1. Operational Condition : Tested in good working condition. Display Condition: Good. Fast Shipping, 8, 16, 32GB. Used iPod with engraving on back unit works and is free and clear. Version 4.2.1. You will get what is shown on the pictures. generic USB cable. Condition: USED, WORKING--UNIT IS FULLY FUNCTIONAL BUT HAS A SMALL HAIRLINE CRACK ON THE GLASS! 2nd Generation - Black - A1288. Apple 8GB iPod Touch. Model- A1288. Reset- Factory reset and ready for a new user. Used - Factory Reset & Working. Storage- 8GB. SALE INCLUDES: Apple iPod. Series/Version - 2nd generation. Lock Status. No other accessories are included in this sale. iPod is NEW in OPEN BOX. Apple warranty expired. Comes in original box with USB data sync cable and headphones. Black Apple iPod Touch 2nd Gen 16GB A1288 V-4.2.1. MP3 Players. Apple iPhones. Broken Apple iPhones. 2nd Gen iPod touch devices only support up to iOS 4.2.1. Device is in 100% WORKING condition, fully functional. Apple iPod Touch 2nd Gen. A1288 MB528LL 8GB. Condition is Used. Shipped with USPS First Class Package. Model: iPod Touch (2nd Generation), A1288. Storage Capacity: 8GB. We will not send a combined invoice unless it is requested. We are not able to make any exceptions to this policy. 8gb iPod Touch 2nd Generation. iPod ready to be loaded with music! The USB connectivity port of this Apple MP4 player allows you to transfer songs and videos from your PC to it and vice versa. Savor balanced music with this Apple MP4 player which has an impedance of 32 ohms. In good working condition. It has slightly scratches on the back and forth. Includes everything that you see in the pictures. PLEASE SEE ALL PHOTOS, THEY ARE A PART OF THE ITEMS DESCRIPTION. Apple iPod Touch 2nd Generation 16GB Tested Black A1288 Working. Condition is Used. Shipped with USPS First Class Package. 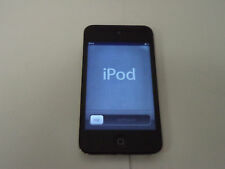 Hello, I have a Apple iPod touch 2nd Generation A1288, MB528LL - Black (8 GB)-LOCKED., see pictures. 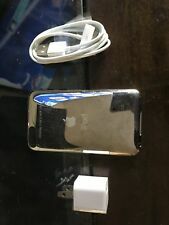 IPod Touch 2nd generation in good working condition. I took pictures of it as it was charging and it seems to be fine, however this is the original battery. I believe I bought this in 2010. This is a 16GB iPod 2nd Generation. It works fine. I don't know the battery life. Only the iPod is included in this sale. Apple iPod Touch A1288 8GB 2nd Generation Excellent Condition Working. I have not tested for battery life. Unit has been reset to factory settings. S/N 9E9460J5201. No charger or cable. This item is used and functions properly.There is a crack on the top right screen (see photos). No other accessories are included. Unless otherwise stated, this has been tested for key functionality. This has been tested and it is in good working order. This is in good physical condition as pictured. We are otherwise not open to the public. No cables or other accessories included. This iPod is fully functional and in excellent working condition. There is minor wear on the body from normal use, as shown in pictures. It does not affect the functional integrity of the device whatsoever. Tested and in 100% working condition. Condition is Used. The iPod touch has always been an amazing iPod. Play hours of music. Create a Genius Playlist of songs that go great together. Watch a movie. Surf the web. Browse YouTube videos. Unit is clean. We will help to resolve any issues quickly and fairly. All buttons work. This item is in fair condition and fully functional with blemishes from normal use. Alaska and. All intended functions are working properly. APPLE IPOD. HAS BEEN USED AND MAY SHOW SIGNS OF USE AND WEAR. Each of these is in great working order. There are scratches from use on the back. First off, I am a real regular person. I have no interest or intention to scam people. I try to list things with as much accuracy as possible. Phone is for parts only. Storage: 8 GB. Generation: 2ND. Manufacturer: Apple. Color: BEIGE & SILVER. Provide secure & responsible electronics recycling through our Tech Dump division. See photos for more information. You will get what is shown on the pictures. not always free to these locations. No original box, manual or any other accessories. Not Included generic USB.